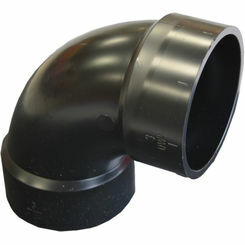 You will need ABS pipe fittings for a variety of applications, such as vent, waste, drain, and sewage. Having the right fittings makes all the difference in your projects. DWV fittings exist for these types of plumbing applications, but ABS differs in that it is black and PBA free. Here at PlumbersStock, we have hundreds of ABS fittings. 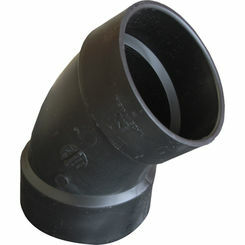 ABS (acrylonitrile butadiene styrene) is a dark-colored pipe, usually black, and it is durable and lightweight. 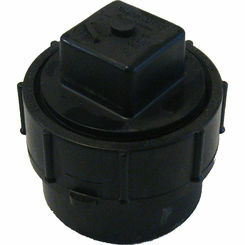 It is mainly used in residential plumbing applications. This piping can be used both above and below ground and is resistant to most salts, acids, and alkalis. Due to its non-toxic properties, ABS pipe fittings can also be used in applications where high purity water, food products, and soft drinks pass through them. PlumbersStock carries different reliable brands that have been established leaders in ABS fittings and Piping, such as Sioux Chief and Oatey. 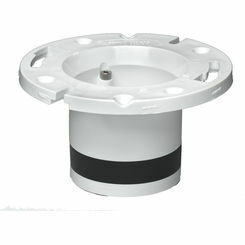 Sewer - Due to the durability of an ABS fitting, it works in sewer systems. The ABS material is extremely smooth on the inside, which allows for easy passing of solids and other liquids. 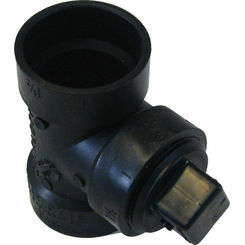 Drainage - ABS drain fittings can be used for water drainage, such as from a washing machine or a dishwasher. Due to its wide range of resistance to extreme temperature, it is not damaged by the high temperature water that flows through the piping from some appliances. We also sell ABS floor drains here at Plumbersstock, which can be used in multiple applications such as a garage, warehouse or utility room. Venting System or Plumbing Vents - These are pipes that lead away from the sewage system to the outdoors, and in many cases to the roof. This is important because it helps release sewer gases outside instead of into the house. 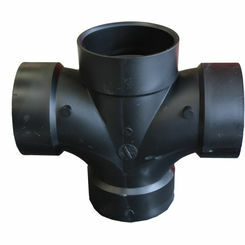 Venting ABS pipe fittings allow for the equalizing of pressure on both sides of the trap, allowing the trap to hold water. 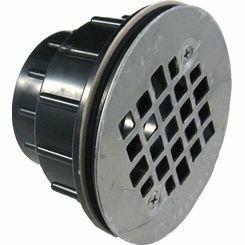 This is necessary for the effectiveness of your sewer and drainage systems. Is ABS Easy to Install? Whether you are a contractor or do-it-yourselfer, ABS is easy to install and can create a less strenuous project. It is lightweight so it can be easily unloaded and placed into position easily by one person. One advantage of the ABS piping is that it is easy to connect and construct your project. Priming glue is not necessary like with PVC applications. 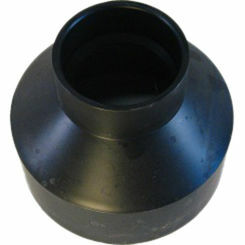 In order to join the ABS fittings and pipes, no special tools are required, and all that is needed is solvent cement. 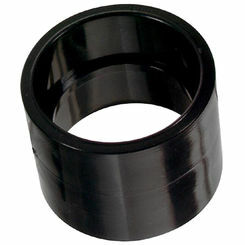 Couplings - ABS couplings come in all different shapes and size to fit any needs. 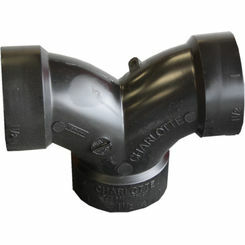 A coupling connects two different piping lengths, usually of the same diameter size, together to form one continuous long pipe. 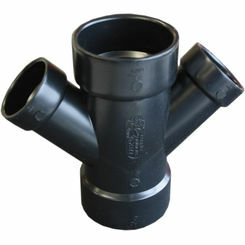 We also carry reducer/increaser fittings for connecting different sized pipes together. 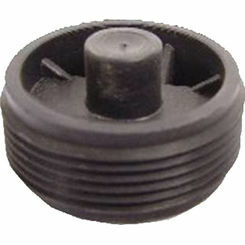 Caps - Cap fittings are generally used at the end of a section of piping that is not going to be used. 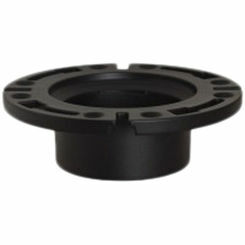 Caps are easy to install with a quick slip on fitting. 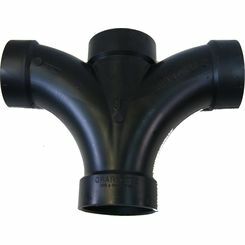 ABS pipe fittings provide a tight cap that will ensure the end of the pipe is closed off and secure to prevent any leakage. 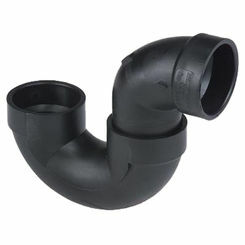 Elbows - Any elbow fitting provides the perfect solution when the direction of the pipe needs to be changed. Whether the pipe needs to be moved slightly or dramatically with elbows ranging from 22 ½ degrees to 90 degrees, Plumbersstock.com has them all. Turn Tees and Wye Tees - Turn tees are the right answer when you are looking to split a connection with one side of the ABS pipe tee going straight and the second side of the tee turning to the desired destination. 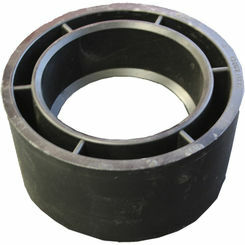 Wye tees also provide a similar option but have the choice of adding more than just two different splits in the connection. 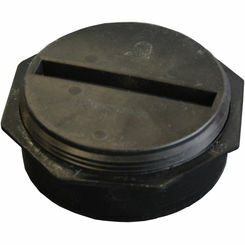 Cleanouts - ABS cleanout fittings are made so that the user can have easy access to the drain to clean the drain out. 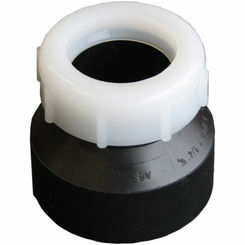 The screw in cap makes a quick and easy one-step process to access the drain in case of a blockage or overflow. 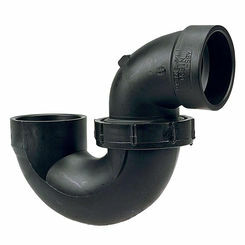 P-Traps - This ABS pipe fitting can be used underneath a plumbing fixture or drain to prevent sewer gas from getting out, and it also allows for easy disassembling without having to cut apart the complete plumbing system. The ABS material is used all over residential and commercial properties because of its durability and longevity. It is easy to use and can work with any of your drain, waste and venting needs! You can get it all here at PlumbersStock with our wholesale prices and knowledgeable team. If you need any help with your purchase, please contact our staff, and we can help you with any questions that you have. 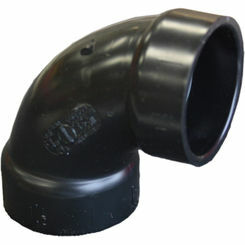 With help from our professional staff, you are sure to find great prices on the best ABS fittings for the job.